Located on 21+ beautiful acres in Pittstown, New Jersey, Summerfield Farm is a quality training and boarding facility for horse and rider. 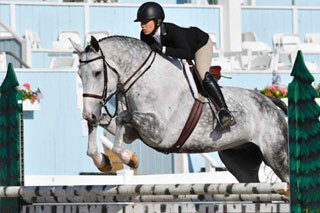 The farm specializes in hunters, jumpers, equitation and basic dressage. Summerfield Farm has been owned and operated by Susan Van Blarcom since 1994. 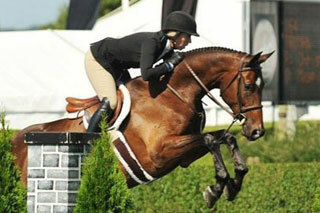 The riding program at Summerfield has been perfected over the years to the outstanding program that is provided today. Summerfield Farm is a family barn with a competitive edge. We believe in teaching students to be complete horsemen. We have taken first time students all the way to national horse competitions. Just as importantly, we have trained and guided students to be successful horse owners and competent caretakers. Every level of rider is catered to, from the smallest tots to the most advanced competitors. Each student is encouraged to have their own goals. The instructors at Summerfield can help taylor a program that meets your needs and goals in a friendly low stress environment. We don't just teach riding to students or teach students to be just show ring riders. We encourage all riders to get involved with the care of the horse. A rider who knows the horse, how instinct will influence the horse's actions, how their digestive system works, how to recognize lameness, etc. will become a better more sympathetic rider - a more complete horseman. Our fully equiped facility boasts 25 matted stalls, attached indoor ring, outdoor ring with stadium lighting, a jumping field, several turn-out fields all with loafing sheds and automatic waterers, two wash stalls, two tack rooms, and comfortable lounge. Summerfield farm also accept horses for breaking, training and retraining. We also have a full service boarding facility. Take a look around, and give us a call. We love talking horses!